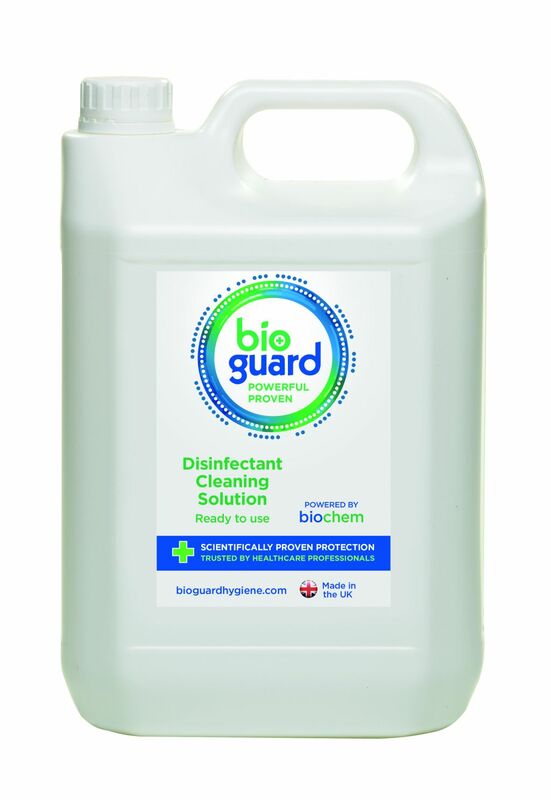 Non Hazardous and alcohol free solution supplied in a ready to use or concentrated liquid solution, for use in high and low risk infection control environments. Powerfully effective, independently tested to British and European standards, and suitable for use on multiple contact surfaces. 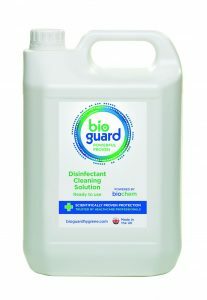 Cutting-edge research and development, combined with independent testing, ensures Bioguard disinfectant cleaning solution is truly effective for use across the whole spectrum of professional healthcare environments. POWERFULLY EFFECTIVE – Independently tested to British and European Standards BSEN1276. Effective against 1000’s of viruses, bacteria, mycobacterium and spores, including MRSA, Tuberculosis, Hepatitis C, Salmonella, Avian Flu (H5N1) and Swine Flu (H1N1). For more details, please refer to our Independent Test and Safety Information CD. NON-HAZARDOUS – Conforming to the latest health and safety legislation. For more details, please refer to our Independent Test and Safety Information CD. 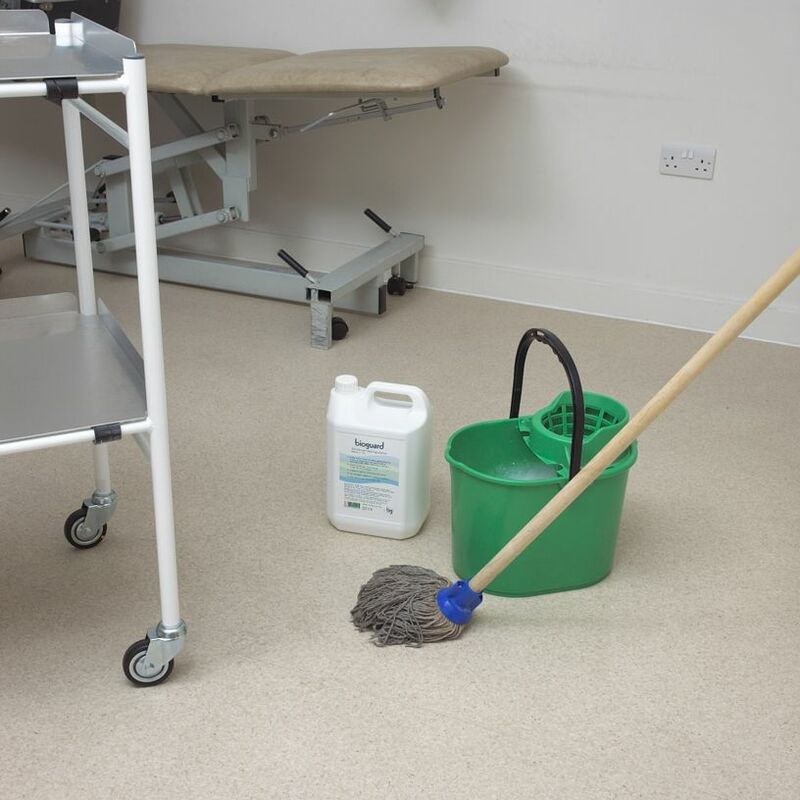 USABLE ON VIRTUALLY ALL CONTACT SURFACES – Including plastic, stainless steel, bedding and uniforms, without damaging or degrading them; one quick, hassle-free application is all that’s required. SUPERIOR IN IT’S CLEANSING ACTION – independently proven to out-perform other leading European products. 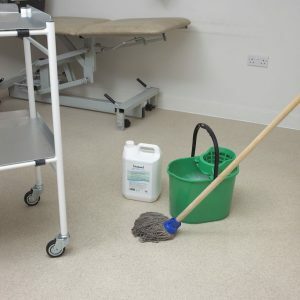 Ideal for high-risk environments – The professionals’ choice since the early 1990s; widely used in clinical facilities, including mortuaries and testing labs. HIGHLY ECONOMICAL – Remains effective at higher dilution rates, reducing the amount of applied product solution used. 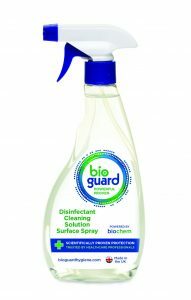 DUAL ACTION – Combined cleaning and disinfecting action eliminates the need for separate products and procedures. ENVIRONMENTALLY FRIENDLY – Proven by independent audits to be non-toxic, biodegradable and non-accumulative in the eco-system. No special procedures are required for product disposal or in case of spillage. USER FRIENDLY – Formulated to prevent skin irritation or unusual sensitivity. environment where there’s a risk of infection from dangerous micro-organisms. Spray solution onto the component or surface and wipe away any dirt with cloth or paper towel, leave to dry, no need to rinse!